Fanni Ijäs is a Stockholm based dancer, choreographer and teacher from Finland. She works in the field of street dance and is specialized in house and hip hop. In 2013 she graduated from DOCH School of Dance and Circus in Stockholm and has after that studied at Ecole des Sables in Senegal in addition to her trips to New York, Montreal, South Africa and around Europe. 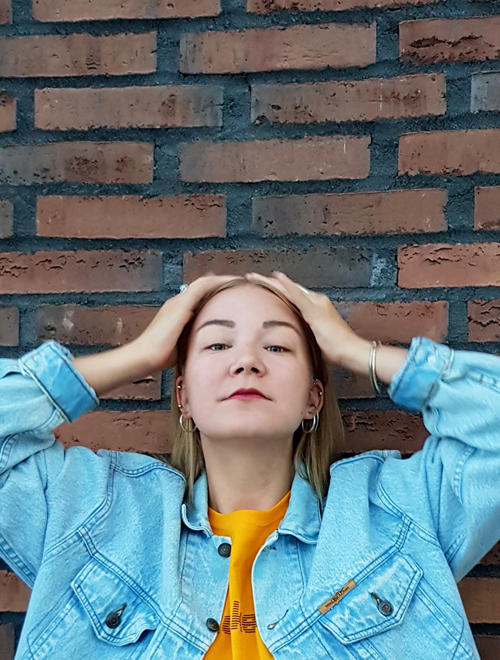 Fanni is a part of house dance collective De La Vibe that promotes house dance culture in Stockholm by organizing clubs, jams and workshops. In 2017 their dance piece Fill Me In, premiered at Dansens Hus in Stockholm. The piece explores how the individual, group and music create an atmosphere at the house clubs. As a teacher Fanni has worked e.g.at DOCH School of Dance and Circus in Stockholm, the Luleå University of Technology in Luleå and Fryshuset high school in Stockholm (SE). The residency enables me to focus on my artistic practice by offering a concrete place to practice my art. Having access to studios and a black box enables me to test my ideas and start the process of creating a new piece. Having an office place to go to is also a big help. The residency also helps me to get in contact with other artists to exchange ideas and talk about dance. During my residency, I want to explore house dance and its possibilities on stage and in other forums. I’m interested in how a social dance tradition translates into a western dance context. I want to find methods to create dance together with dancers and have improvisation as the starting point. Right now, I’m also interested in playing with the concept of what the audience sees and doesn’t see, and how the dancer’s movements echo in other dancers’ bodies. I want to find a routine as a freelancing artist when it comes to writing applications, producing a dance piece and having a better understanding of how the branch works. I also want to start building a network of artists from different fields of art to collaborate with in the future.